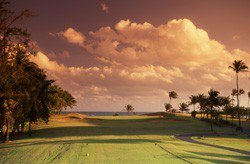 The Sugarcane course is the more challenging of the two Plantation courses although it boasts larger fairways and greens. 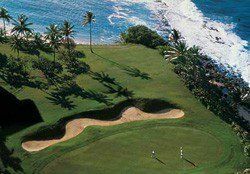 The course features more forced carries and deeper bunkers that can penalize you for an errant shot. The back nine is surrounded by newly created rivers and lakes and offers a much different look, never seen at the old Cerromar and Dorado Courses. Players have an opportunity for birdies early in the round, but by the 8th hole the course begins to show its teeth. Par is a great score on most every hole on the back nine, with just a few birdie opportunities mixed in! The new 50,000 square foot, $5 million clubhouse awaits golfers after their round. Whether it be for a cold beverage with your foursome, a magnificent meal cooked to order, or to just relax on our deck that provides great views of the golf course. 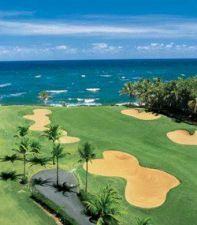 Dorado Beach Resort & Club - Sugarcane is not yet in our pool of Golf Courses for orders.